Billbergia 'Alakai' (Lisa Vinzant - (Lisa Vinzant- sanderiana x 'Las Manchas'). A medium growing vase shaped bromeliad with flaring leaves and dark spines. 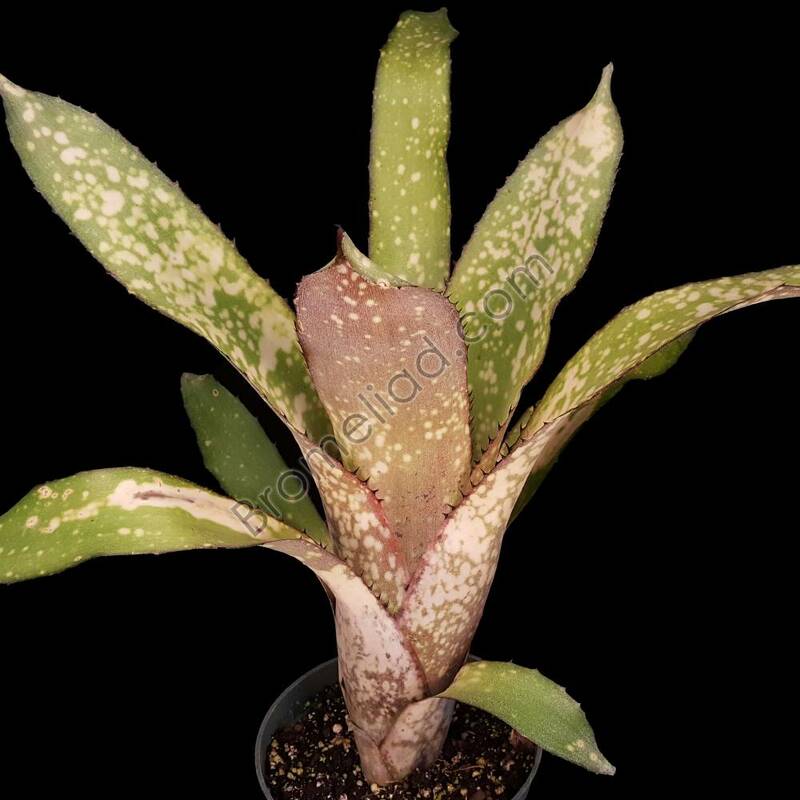 Leaf color is pale green with white mottling and reddish tint on the outer sides of the leaves. The inflorescence is a spike with large pink blacts, pink sepals and bright blue coiled flower petals. Maximum Size: H:18" x W:16"